The popularity of home renovation reality shows like The Block and The Renovators has encouraged more Australians to undertake their own renovations on their homes and investment properties. The benefits of a well-planned and executed renovation are both financial and personal. After all the hard work, it can be immensely gratifying to see your inspiration and creativity come to life. Whilst renovating can be very exciting, it can also be quite stressful if not managed or budgeted properly. It pays to do a few background checks prior to starting your renovation, to make sure you can make the changes that you want to. Doing the research on your home upfront can help to avoid unplanned costs that lead to renovation budget blowouts. A building inspection can help you to determine whether the existing building structure will support the additions and changes you plan to make. It can also help to uncover potential problems (i.e. termite damage, dry rot, and building defects). Once you’ve got the all clear, check with local council whether any local planning laws may limit what you can do with your property. If you live in an apartment or townhouse governed by a body corporate or strata title then you will also need to get an understanding of what your limitations are and what your neighbours will and will not allow. Getting funding for your renovation in advance can help you work out how much you have to spend so you can stick to your budget. There are a number of ways you can fund your renovation, depending on the size of your project and your budget. If you have savings or receive a financial windfall or inheritance these funds are often a good way to fund your renovations as you have a defined amount to budget with and don't need to borrow to finance the renovations. You may decide to refinance your existing home loan and increase the loan limit. You should speak to your existing lender or financial adviser and research other loans available in the market to ensure you are getting a good deal. 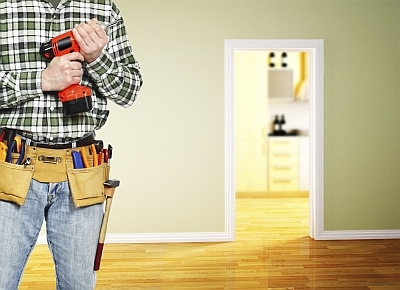 Some people choose to finance smaller renovations with personal loans or credit cards. Whilst these options may appear convenient it pays to check the interest rates on this type of finance, as they will generally be higher than other options. Your budget is going to need to include architect and engineering fees, council fees, building inspection fees, insurance and building and labour costs. Your materials, fixtures, fittings and furnishings will be on top of this. If you know exactly what you want and can clearly explain that to your builder and other tradespeople then you will generally be able to budget easier as you will receive more accurate quotes. Changes halfway through or at last minute can be expensive and can often lead to budget blowouts. A kitchen renovation may cost $5,000 to $50,000 or more, depending on the appliances and finishes you choose. Some renovation experts recommend you limit the budget for the kitchen renovation at 5% of the value of your home. So if your home is worth $500,000, you could consider spending up to $25,000. This is just a guide though and your budget will come down to affordability and balancing what you want with what you need and what will truly add value to your home. Unfortunately even with the most careful planning, renovations don’t always go to plan. Many experienced renovators will advise you to budget an additional 10% - 20% to the quoted prices, as a buffer for incidental costs and unplanned expenses. Sticking to a budget can be a daunting task but can more easily be managed if you keep hold of your receipts and track all spending in a budget spreadsheet. The key is to regularly update your budget and expenses and keep on top of them. Otherwise you may end up having to halt works, or live with incomplete renovations because you’ve gone over budget. It can be very easy to get carried away when renovating. Home and interior design magazines and websites such as Houzz and pinterest boards are packed with all the great stuff you can do and buy. Whilst these are great resources for inspiration, it’s important that you are clear on what you need and what you want as it is very easy to get carried away. When you first start planning, it can help to first investigate what your home may be worth when you finish renovating. If you haven’t had your home valued in a while, this is a good place to start. You can then check with your local real estate agent or online for what similar renovated properties are selling for. If the cost of your planned renovation will end up being more than what your home will be valued at after renovations, you’ll be overcapitalising. Renovating can be a fantastic opportunity to add value to your home and to help you create a dream space. The key to a successful renovation, like most things, is to do your research, plan before you begin and stick to your budget.